Novadruma is a 58-year-old, local musician in Purcellville, VA who last logged in over a month ago. 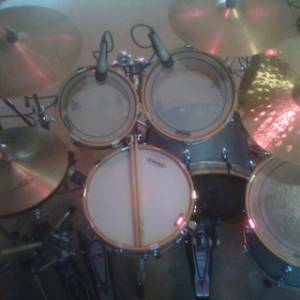 I'm a drummer with stage and recording experience. I also can handle back up vocals if needed. I have pro-gear. Interested in finding like minded musicians who can get together once a week and play out a couple of times a month. Would be interested in just creating original music in a studio too. There are many influences but from an early age I loved to listen to Motown, Funk, Classic Rock, anything with a good back beat. I like bands from AC/DC to Zeppelin, when it comes to rock. On the funkier side, I'm fond of bands like Ohio Players, Dag, Kool and the Gang, Earth Wind and Fire, and much more.